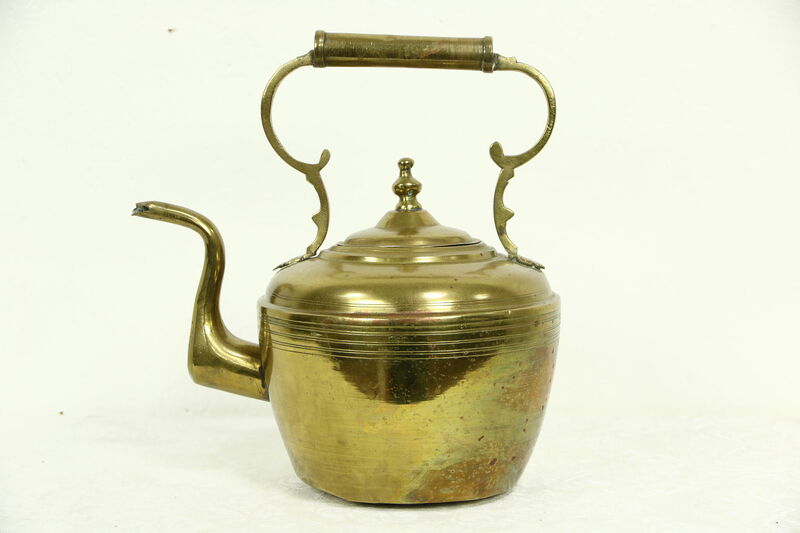 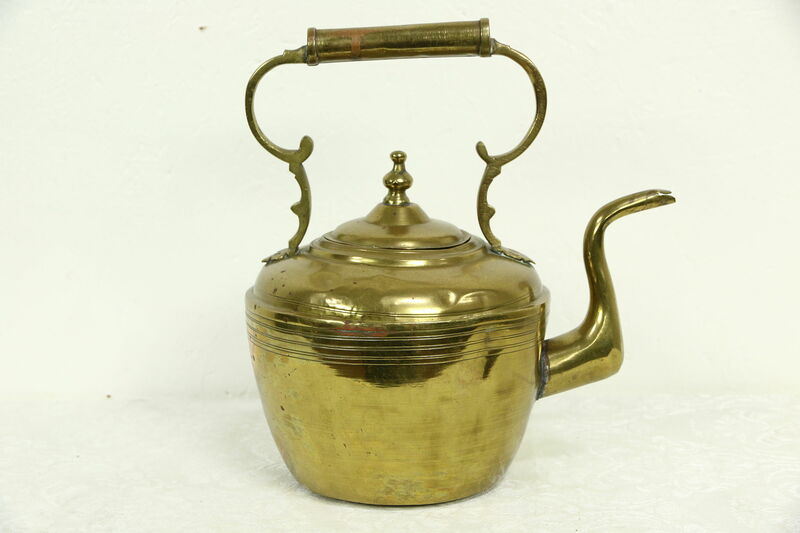 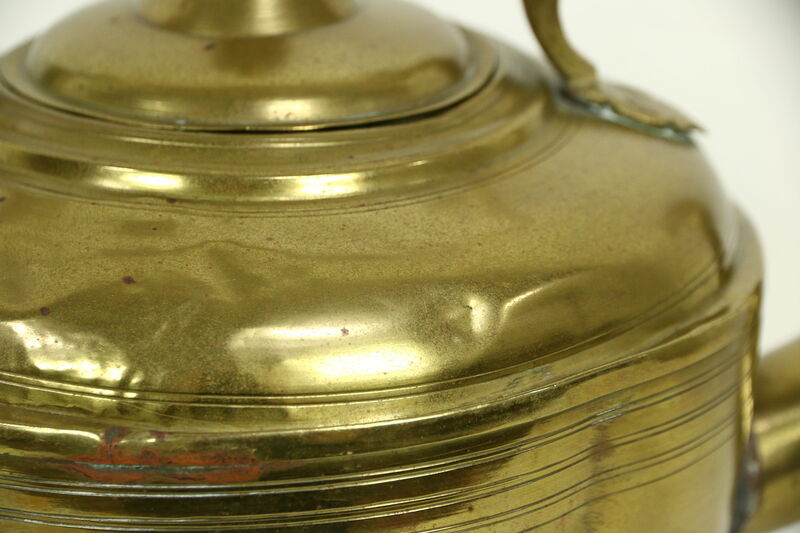 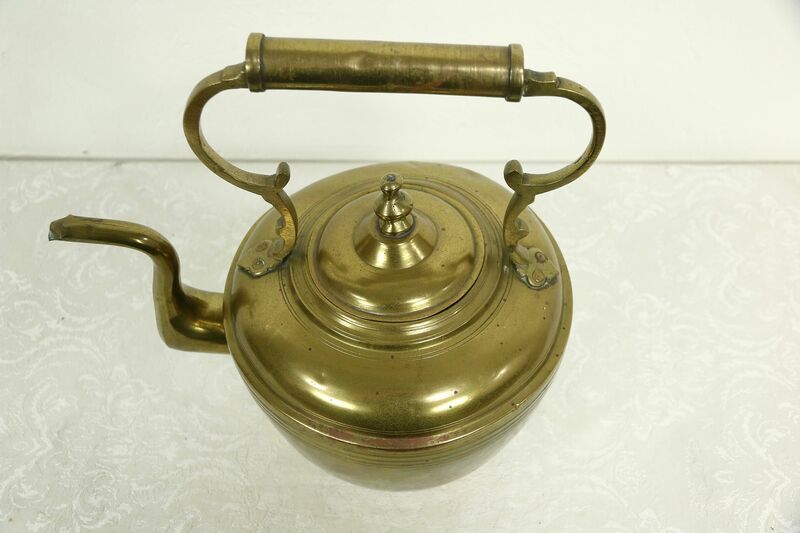 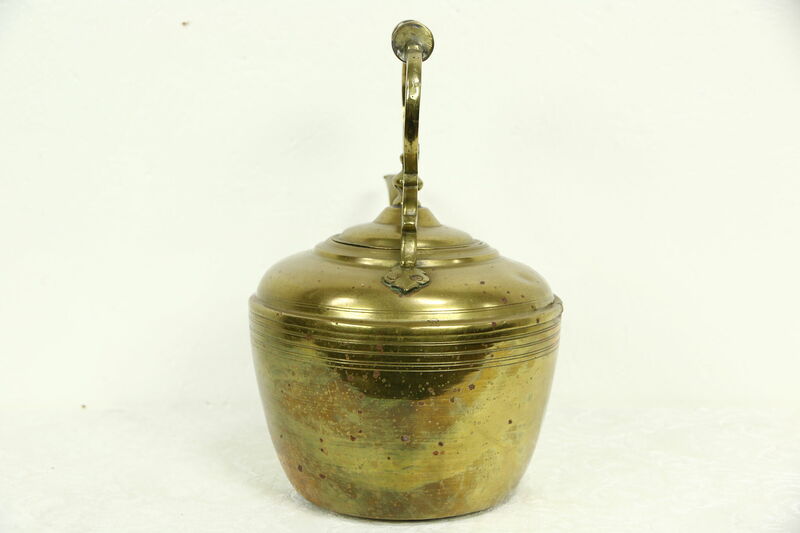 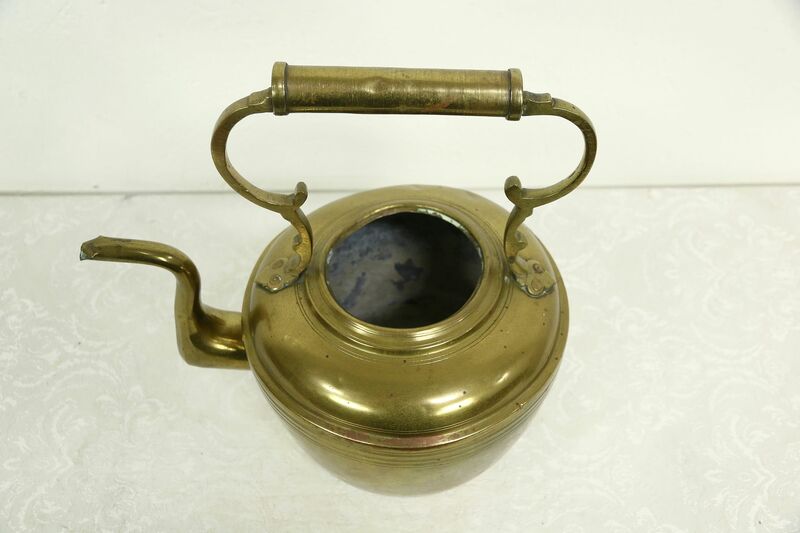 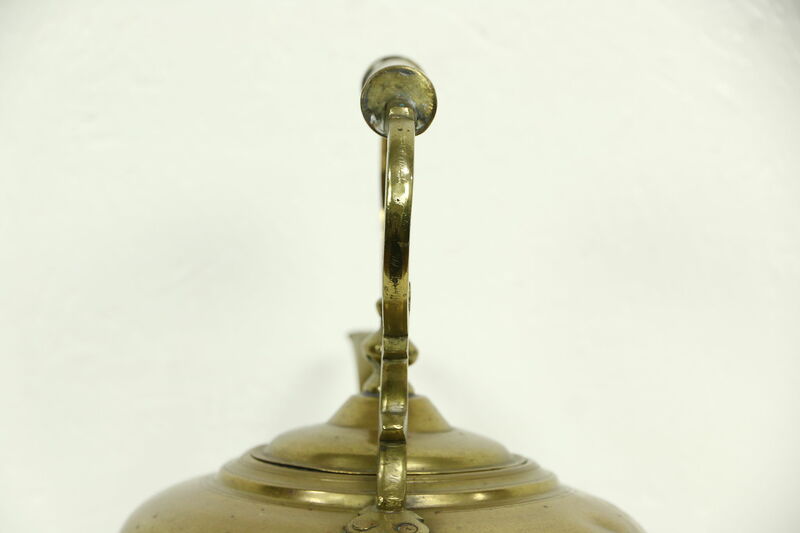 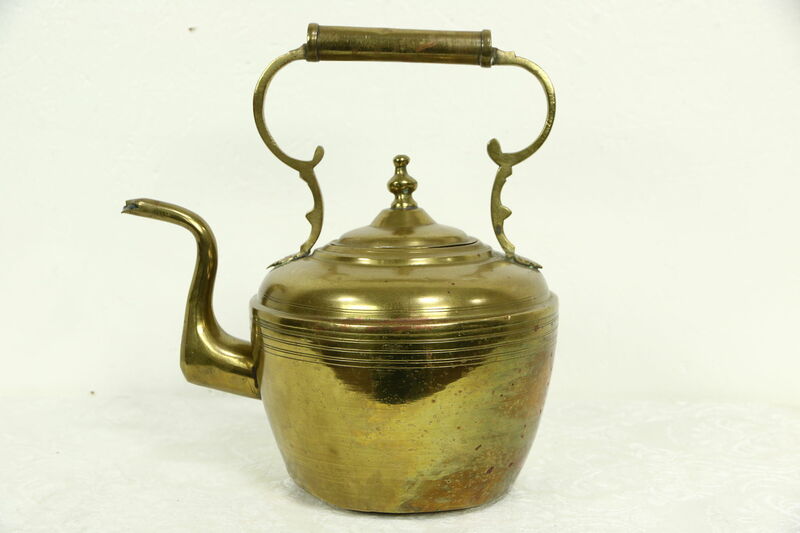 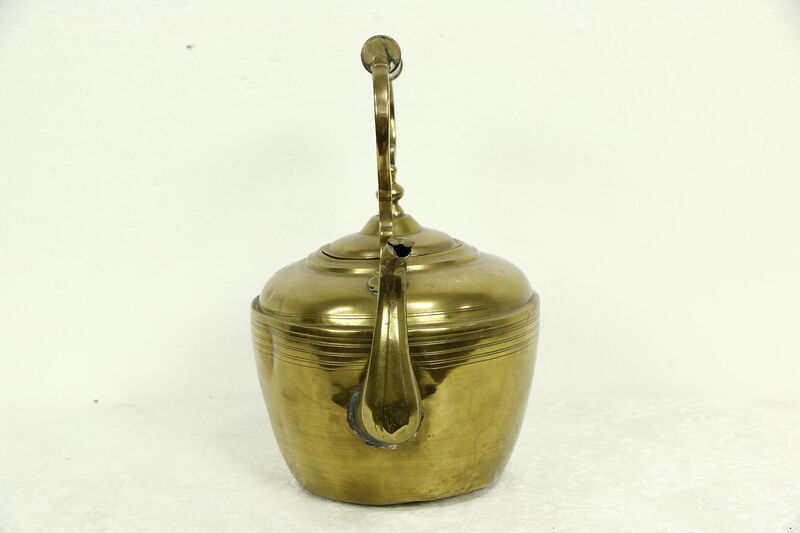 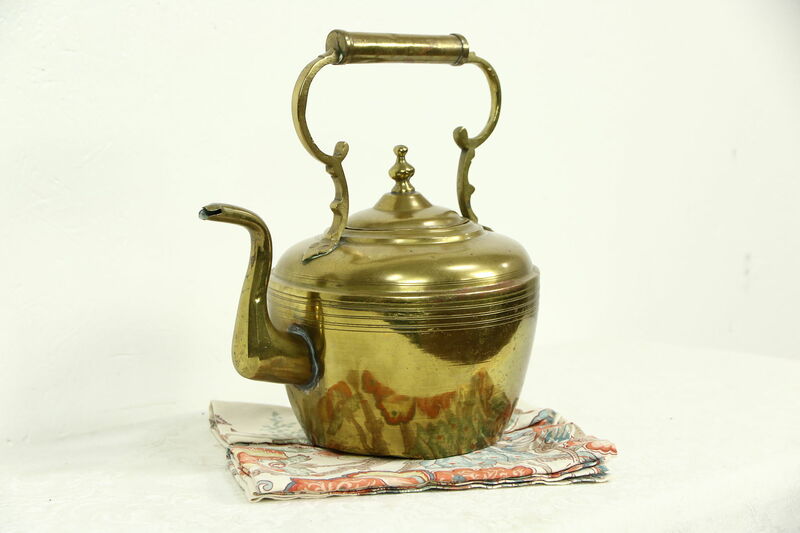 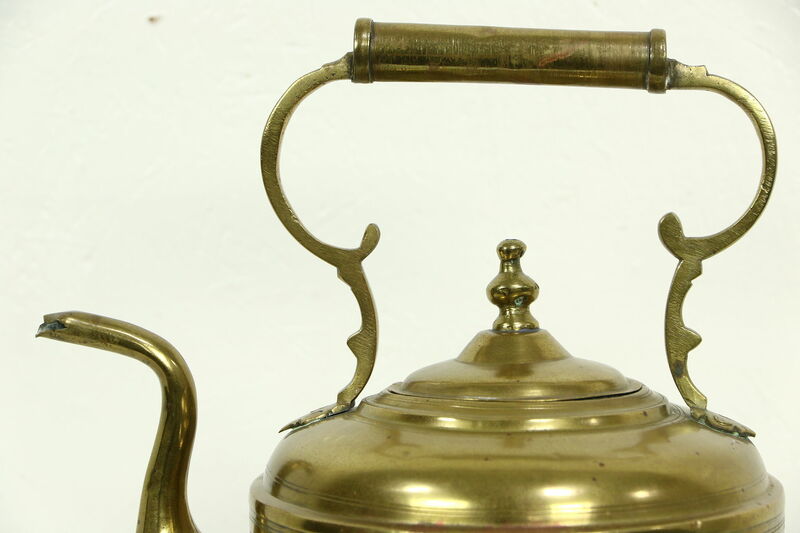 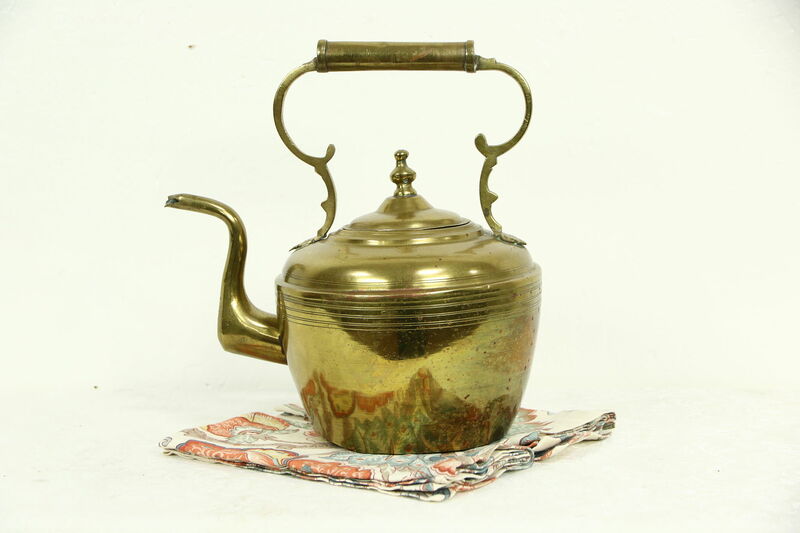 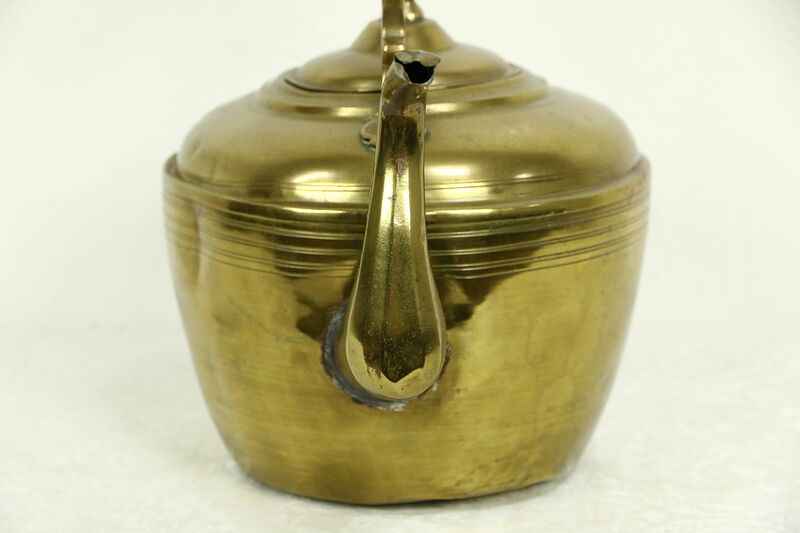 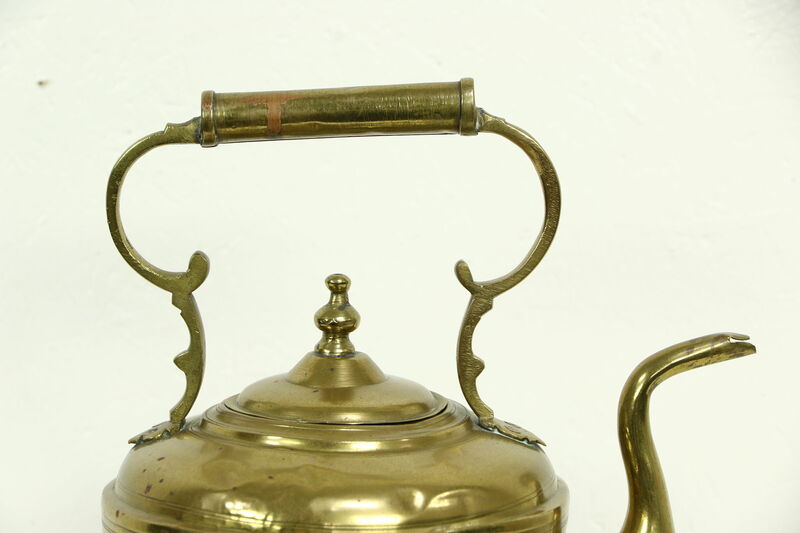 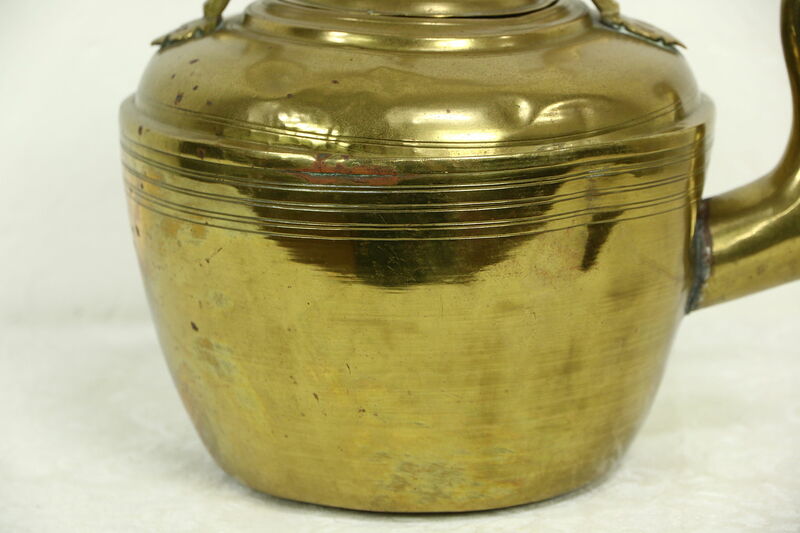 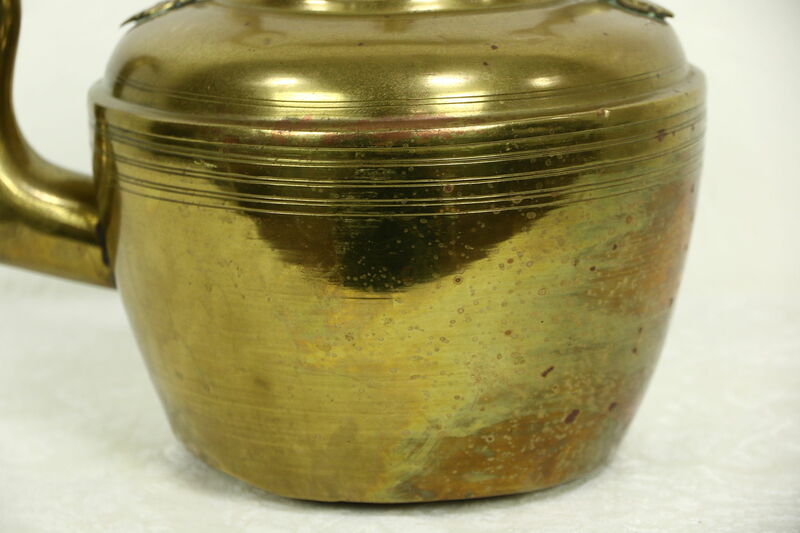 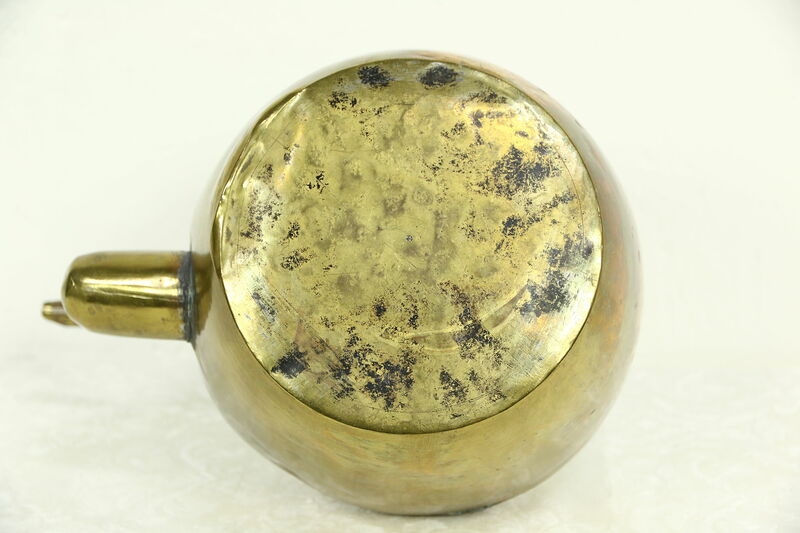 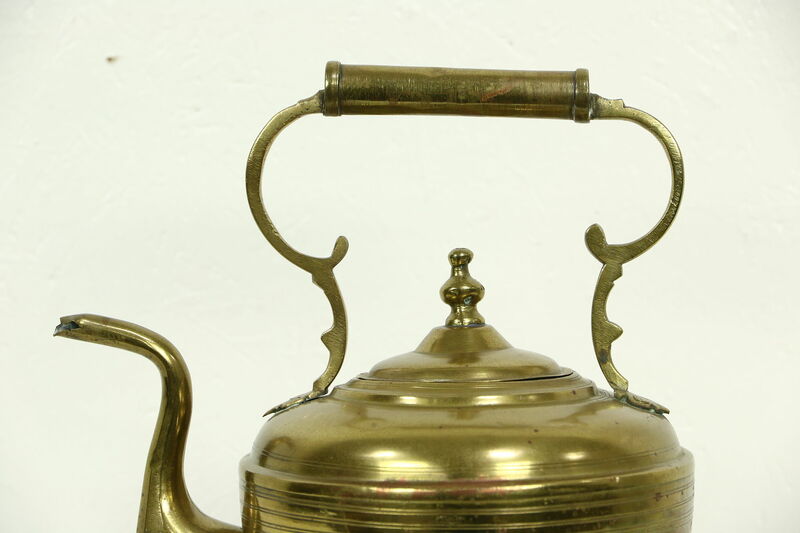 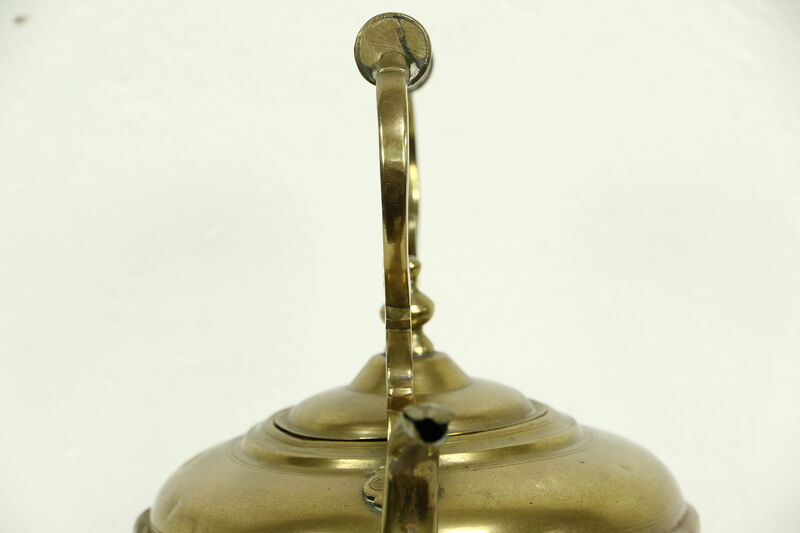 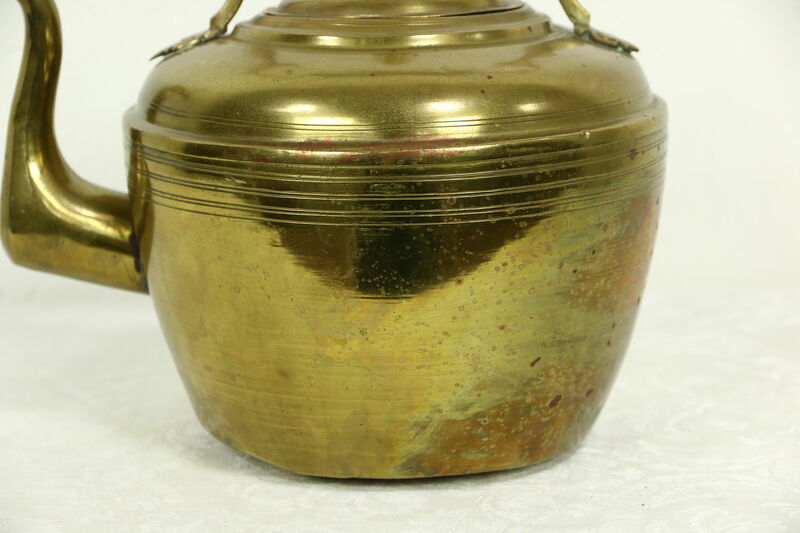 A hot water or teakettle was hand wrought and hammered in northern Europe in the 1870's. 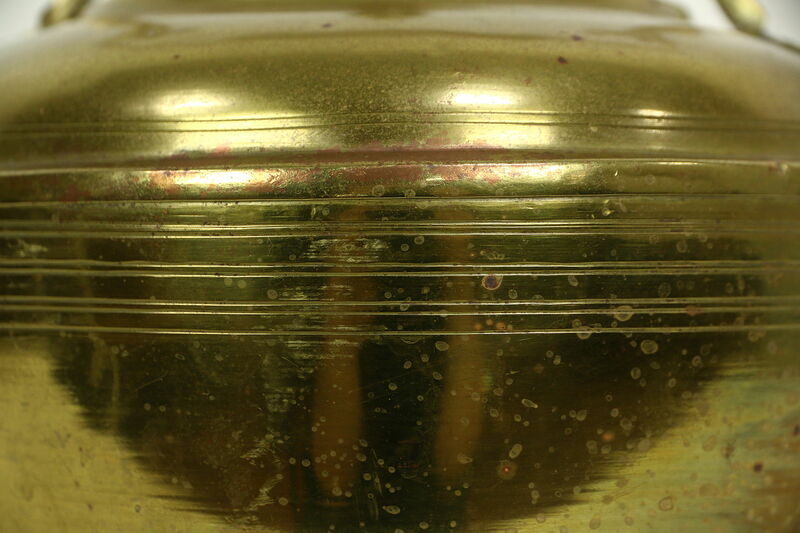 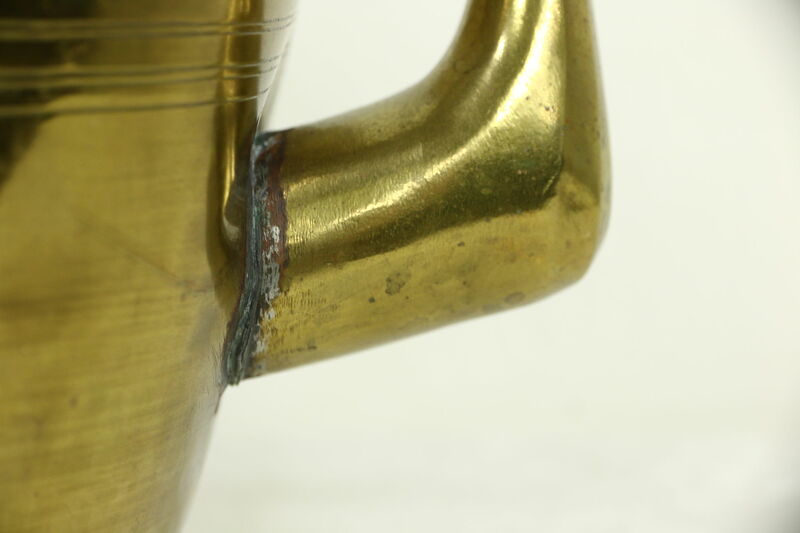 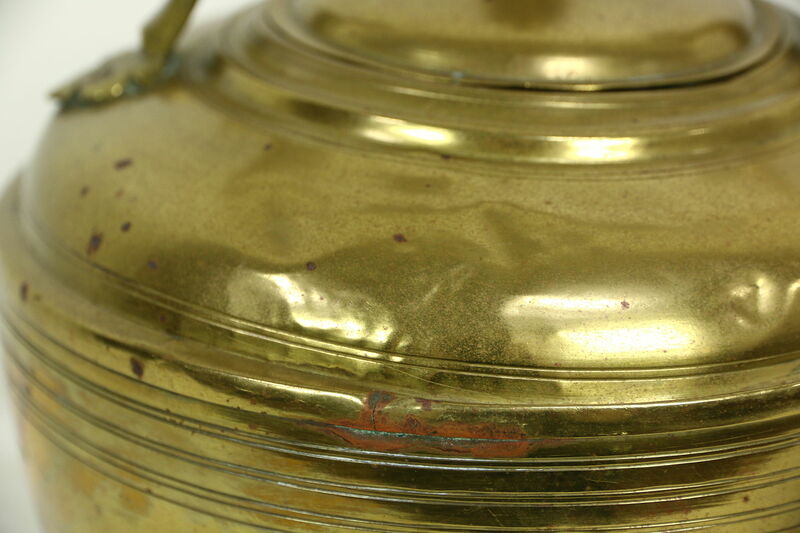 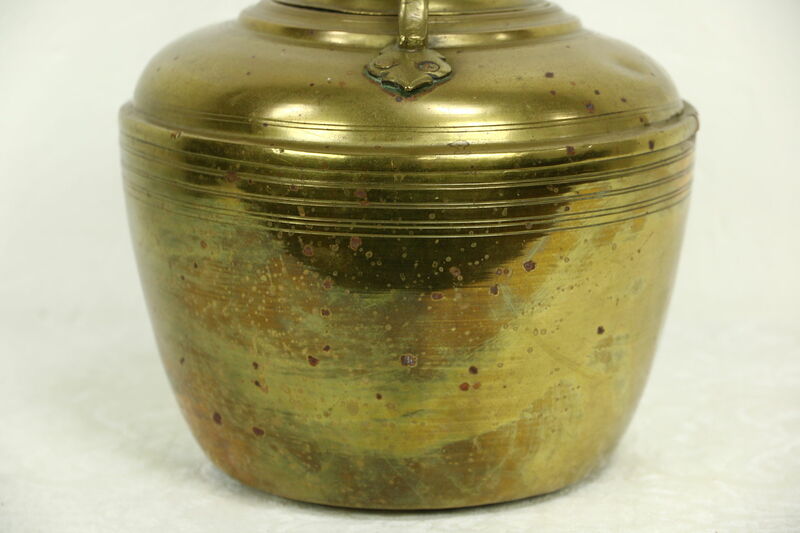 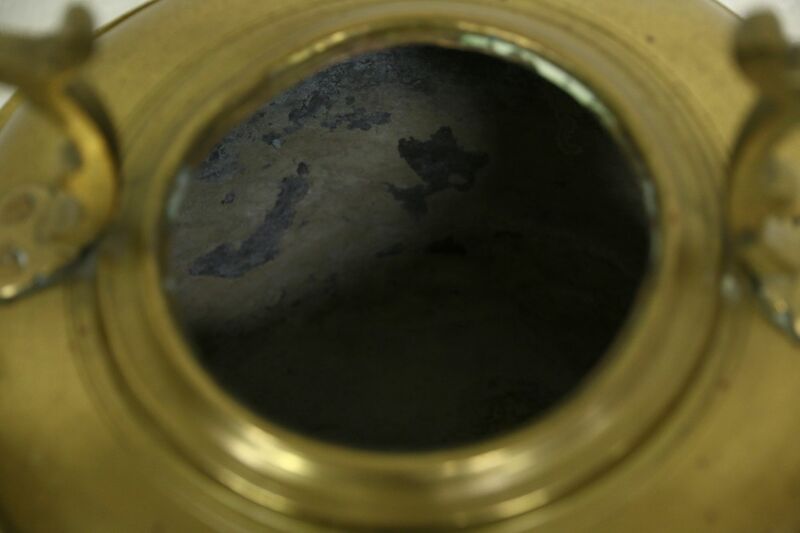 The interior has a tin wash on this pot which has just enough dings for a little antique character. 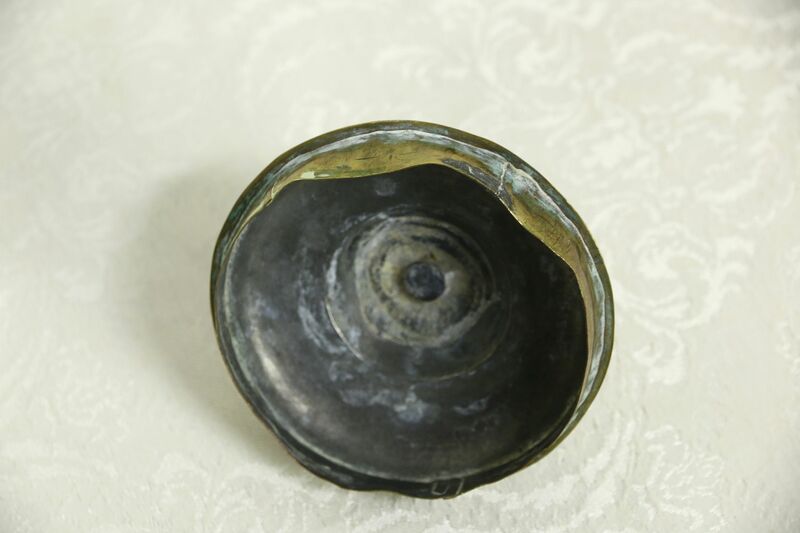 Size is 11" across, 8" deep and 12" tall.